The Macau Military Club is organizing an exhibition of works by Macau artists to be held in the organization’s Galeria Ho Yin between December 16 (this Friday) and January 6 next year. The event is part of the celebratory activities commemorating the 17th anniversary of the Macau SAR, presenting an overview of the painting, drawing and calligraphy activities in the region. A total of 36 works will be on display, created by 36 different artists. According to a statement of the curators, the selection reflects the works of renowned artists as well as aspiring young artists in the territory, with their birth dates spanning the period 1940 to 1995. The exhibition is produced and curated by APAC – Cultural Events Promotion Association. 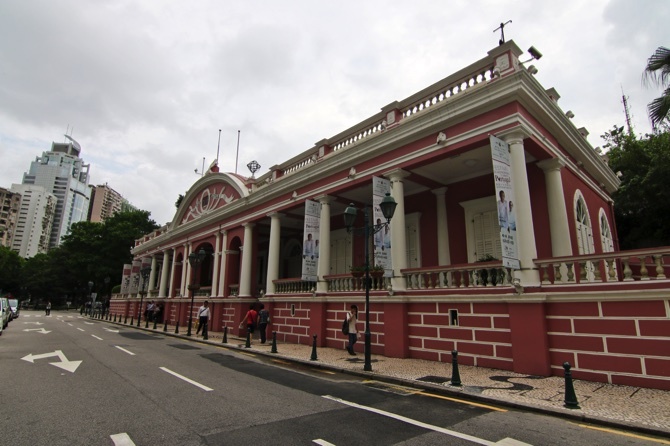 It is the third in a series entitled “Pontes de Encontro,” promoted by the Military Club with the support of the Macao Foundation, SJM, the Sam Lei Group and Comendador Ng Fok. An inauguration ceremony will be held for club members and guests on December 16 at 6 p.m. The exhibition will then be open to the public from December 17 to January 6, every day, between 12 p.m. and 8 p.m.